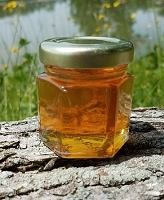 Raw Honey - this honey has not been heated. 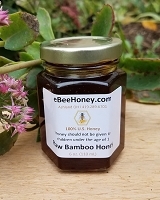 Raw Honey that we sell include raw bamboo honey, raw buckwheat honey, raw clover honey, raw goldenrod honey, raw locust honey, raw orange blossom honey, raw star thistle honey, raw tupelo, and raw wildflower honey. 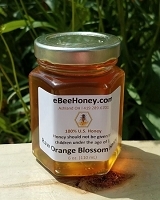 Read more about our honey varieties! 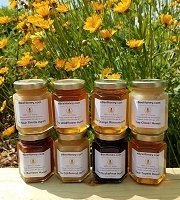 You can also click on any honey variety below to see what sizes of that honey variety we have available. We DO NOT HEAT our raw honey. 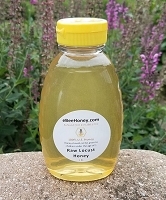 Our raw honey is not heated or highly filtered and only passes through a large screen to remove large bits. 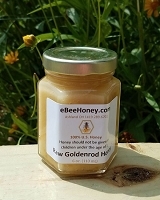 Raw honey contains bits of wax, pollen and propolis. 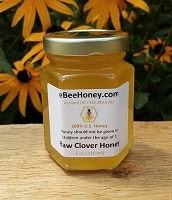 All of our honey is 100% pure U.S. honey - there is no blending or alteration done to any of our honey! Crystallized honey will always be lighter than the liquid version! It's the nature of honey - when a variety crystallizes it becomes lighter. 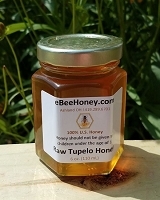 Raw honey is right from the hive! 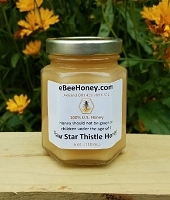 If you wish to order honey that has been filtered, please see our Honey Page. The following varieties are crystallized or starting to crystallize: Bamboo, Clover, Goldenrod, Orange Blossom, and Star Thistle. 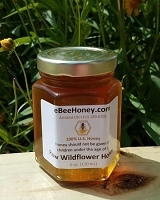 You can choose between liquid or crystallized honey for Wildflower as we have both in liquid and crystallized forms. You will be able to choose this option as you are adding the item to your shopping cart for containers 5 lbs. and larger. 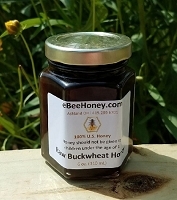 Simply click on any honey picture below to see sizes and pricing for each variety. If you are using a cell phone or iPad, simply click the sub-category of honey you wish to see.